The Clifton Opera House is going to be swingin' with the return of the Back Porch Swing Band on Saturday, March 30rd at 7:30pm. They will be bringing their old-timey flavor and swingin' rhythm to Clifton. 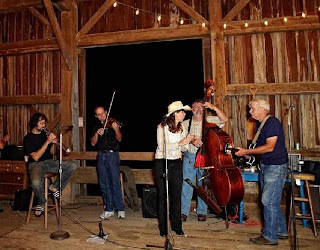 This group combines the talents of several notable musicians responsible for the tapping of thousands of feet across Ohio for the last 15 years. The historic Clifton Opera House is located at 5 So Clay Street, Clifton. Box office opens at 6:30pm. Call 767-2343 for information.